Built for the VFR Pilot who needs the essentials when flying: Headset, sunglasses, GPS, today's charts, kneeboard, radio, etc. which the B04 can handle with ease. Also includes main handle and shoulder strap. The Brightline B4 is perfect for that day trip or spending time in the pattern perfecting those landings. 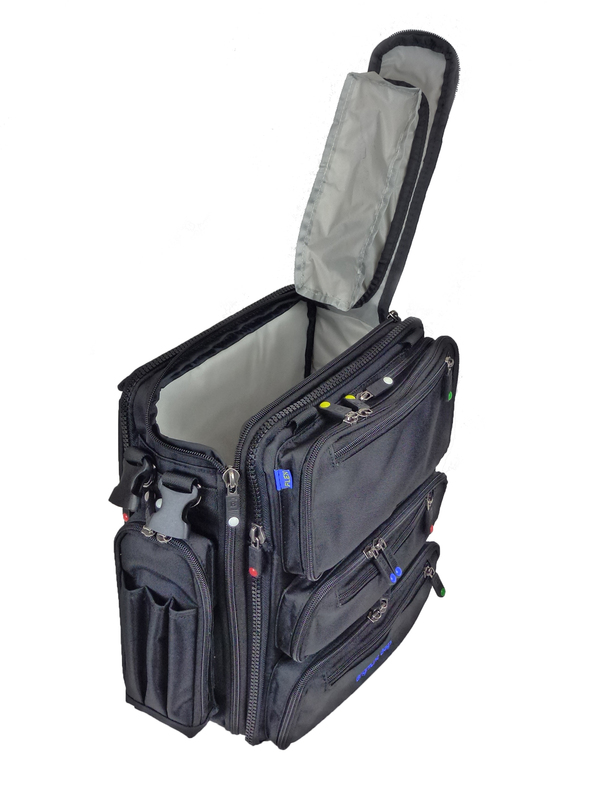 The B04 Swift also makes a fantastic carry-on travel bag. 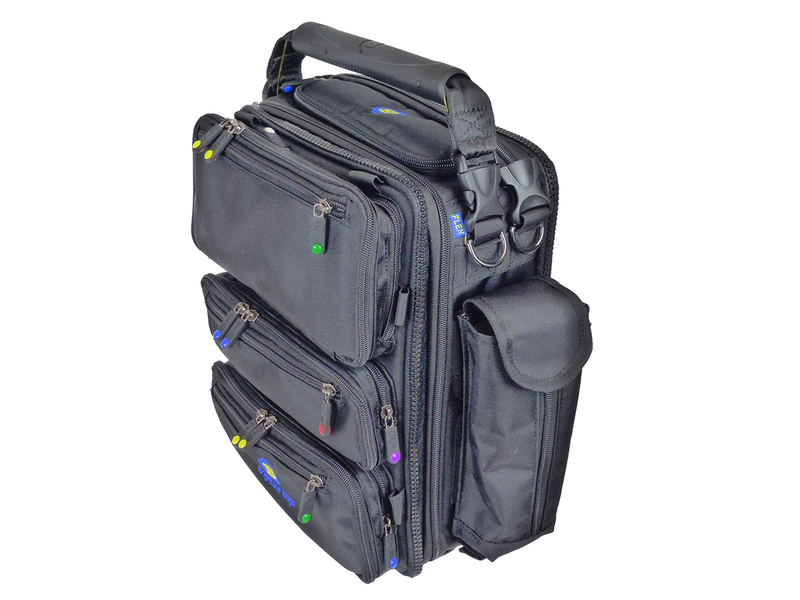 You can store your 13" laptop, power cords, smart phone, snacks, pillow, iPad, magazines, iPod, keys, DVD's etc., in a small efficient bag that fits right under the front seat. Review: Totally met my expectations...I Am using it as a briefcase in a non-pilot application and it fits my needs perfectly. Pros: Wonderful, customizable gift for any pilot. Review: Gave this to my son-in-law for Christmas. Not understanding the multi-option components, I was going to put other small presents for him inside the "case" ... Ha! He loved it so much that he put a configuration together right then and there to show us how it worked. Pros: Roomier and lighter than the bag it replaced. Lots of roomy pockets for keeping things organized . Review: It arrived with one zipper tab installed backward. I emailed them expecting to have to return it. They emailed back almost immediately with graphic instructions how to fix the problem. It took me five minutes to remove the tab and reinstall it. Great bag, great customer support! I've had it for Almost 2 years, when I started my flight training and it's been able to withstand all the everyday abuse I put through it. The fact that you can easily customize and add more storage sections is superb. 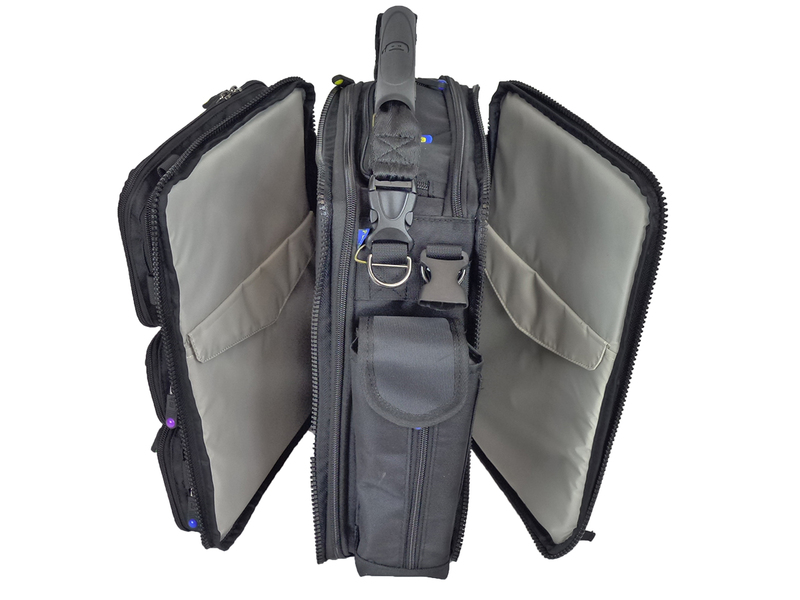 I would recommend this bag to anyone looking to organize their flight bag and who are tired of the old "toss everything into the black hole" type of bags. 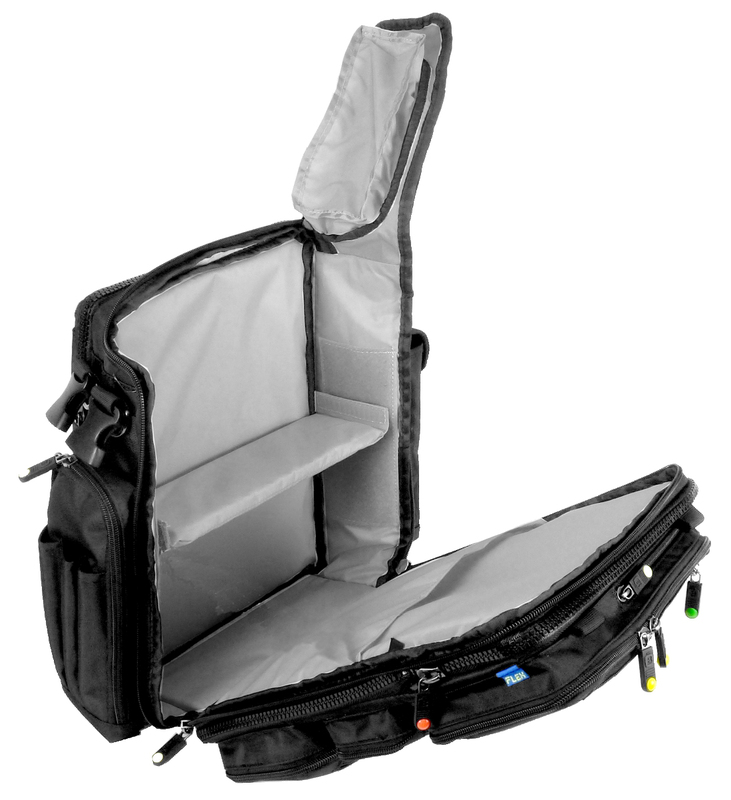 Review: I love this flight bag. I am a 121 pilot and I use this bag everyday at work. The product is just as advertised. It all zips and fits together in a matter of minutes (a little tricky at first, you'll get it though). You can customize which pocket goes on which side, and also whether to use the handle or strap. (And of course, customizable with any component in the FLEX line). With the use of some o-rings on the handle, the handle hooks on my rollerboard J-hook and stays in place nicely. The divider end cap is great, I use all the little pockets. It is a little front heavy and falls over if the main section is not loaded down, but that's not a deal breaker for me. Overall, great bag. I don't have to think about it while I'm using it, and that attribute goes a long way with me. All those good things being said, I would not have paid $165 for this bag had my company not reimbursed me from my uniform alottment. It's a Ferrari price, but you do get a Ferarri bag. 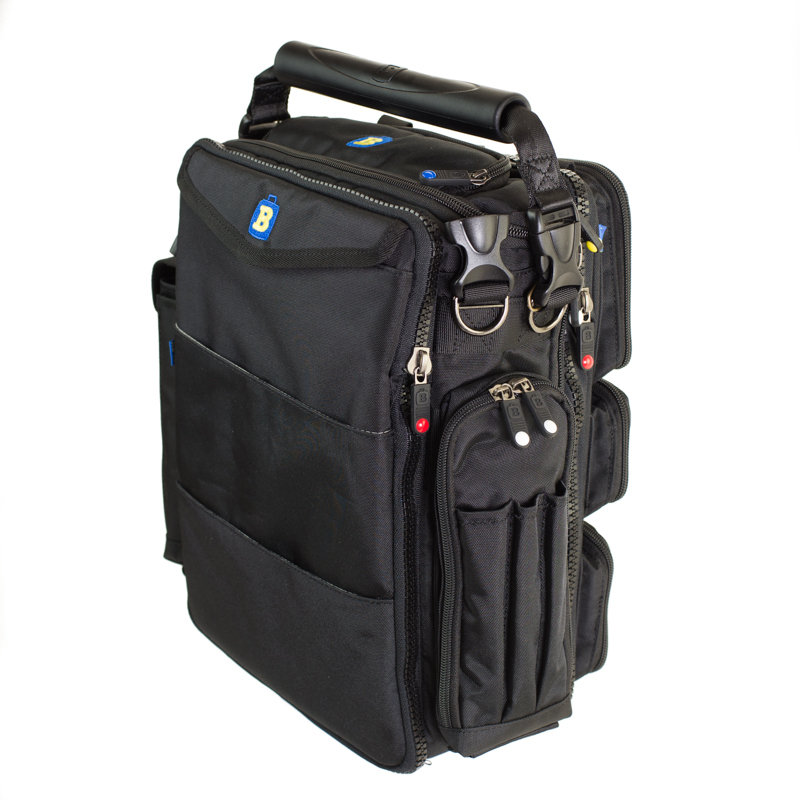 Pros: Compartments easily accessible, size pulling down aisle, large handle to hang on J-Hook. 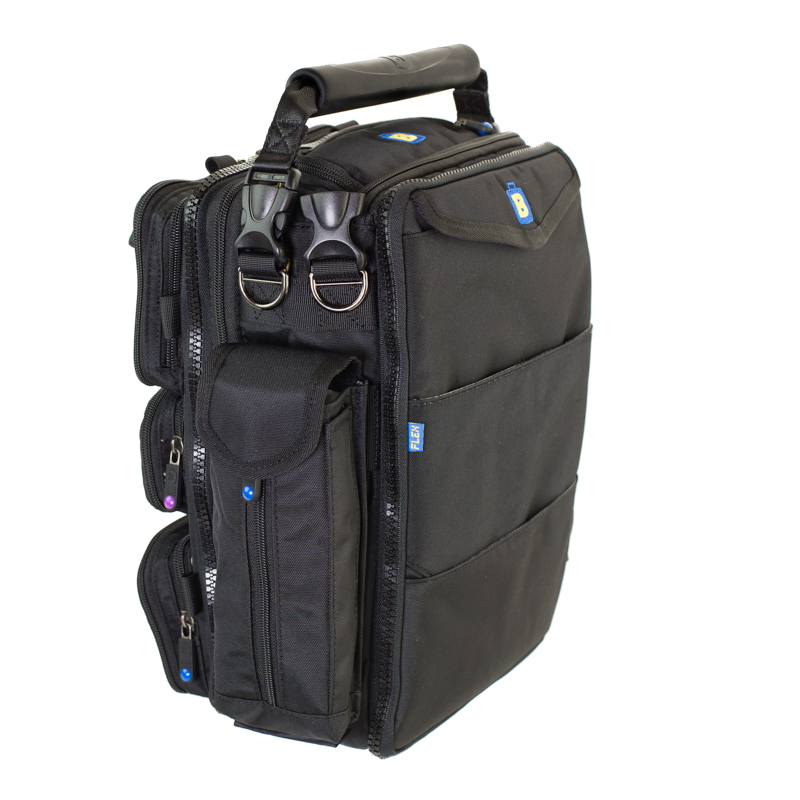 Review: This bag has exceeded all expectations as far as ease of travel while working. I am a flight attendant, I understand this bag is mostly utilized by pilots, however, I have found it to be my favorite bag in 30 years of travel. Good job with design, size, compartments etc. Cons: Eyeglass compartment on side comes open on occasion, Velcro doesn't hold well enough. Q: does the b4 swift come with side pocket charlie and alfa or do i buy those seperate? A: Yes, Side Pocket Charlie and Side Pocket Alpha are both included with the purchase. The same as the B4, except that it includes a water bottle holder instead of a radio holder.